One U of A researcher is studying a new — and unique — genre of writing: successful crowdfunding pitches. Adam Pope, visiting assistant professor of English in the J. William Fulbright College of Arts and Sciences, has developed a technique for analyzing successful crowdfunding pitches using the same methods used for other professional writing genres. He explains his technique and methods of teaching it to writing students in his article, "Understanding the Writing Demands of Crowdfunding Campaigns with the Genre-Mapping Report," published in Business and Professional Communication Quarterly. For his research, Pope focused specifically on pitches for funding independent games. "Games for me were very interesting because they were succeeding when they shouldn't. These Kickstarters were getting $1 million or more for, essentially, just some concept art," he says. In fact, Pope notes the games category on Kickstarter has raised over $500 million, or 20 percent of all money raised on Kickstarter. It's been so successful that it has inspired new games-only crowdfunding platforms like Fig.co. This has completely changed the gaming industry, Pope says. "It has allowed people to bypass the gatekeepers." Pope explains that while Kickstarter and other crowdfunding pitches can seem to be primarily video driven due to the central placement of the pitch video, successful campaigns go beyond an initial pitch, expanding their campaign with a steady stream of updates in various media. "You're crafting an experience for these people," he says. "Crowdfunding is built around experiencing the project, watching it unfold." Creating this shared experience, he says, builds a community to back a project, and as a result, people who donate to crowdfunding projects tend to be serial supporters. Like any community of genre fans, game funders recognize and respond to certain tropes. One common trope found in successful crowdfunding pitches is that of the "angry fan" — that a fan of an old game that is no longer produced by the publisher is going to bypass those gatekeepers and create a new version or episode of that game. "By the fans, not the publishers," is the motto. Yet the genre of the crowdfunding campaign defies a simple explanation. "This is a new and highly fluid genre," Pope explains. As his article states, there is not one way of putting together a successful crowdfunding campaign, no one set of rules to craft an argument that attracts backers willing to turn over their cash for the promise of something worthwhile. Pope says, "It's just as challenging and just as multifaceted as writing a grant proposal, only it has to attract more people." He says he's trying to help students and crowdfunding groups understand the research they need to do in order to make a pitch successful. 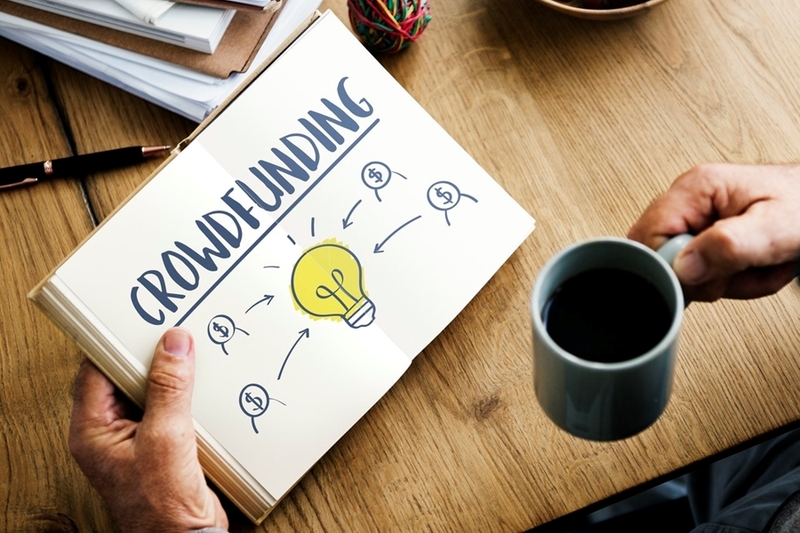 Pope believes as crowdfunding evolves and grows, it will offer professional writers new ways to use their skills in writing, social media and multimedia. He predicts that being able to write and manage successful crowdfunding pitches will become a new career option for writers, much like social media manager. He is currently working on a writers guide specifically for running a crowdfunding campaign.